As one of Northern Michigan’s highest elevations – The Hills of Lakeview offers spectacular views of both East Twin Lake and Snyder Lake. Whether you spend the day on the water, golfing or simply out enjoying Northern Michigan, you’ll love to relax or entertain from your gorgeous hilltop retreat. Garland Lodge & Resort and 35 miles from Gaylord. 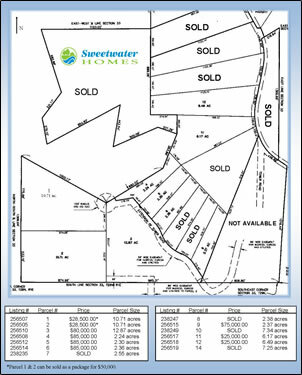 Home sites ranging from 2.5 acres to 12 acres. Download a PDF of the Site Plan >> Click the Image to the Right.